NEW YORK, NY (USA) – 30 March 2017 -- Prolific author, Thought Leader on Emotional Intelligence, and Life Coach GLENVILLE ASHBY, Ph.D. is receiving high marks for his latest literary work Anam Cara: Your Soul Friend And Bridge To Enlightenment And Creativity. 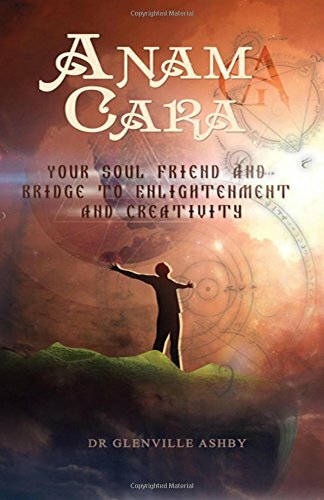 Highly acclaimed as a blueprint for empowerment and healing, Anam Cara: Your Soul Friend And Bridge To Creativity is available only as an audio book at: https://mobile.audible.com/pd/Self-Development/Anam-Cara-Audiobook/B01DCL18DQ. "This unique publication will benefit persons who seek to rid themselves of emotional baggage and attain a peaceful mind." “Anam Cara” is a Celtic term which, in English means, "soul friend". In the days of the Druids, an Anam Cara served as a confidante, an advisor, and confessor. Dr. Ashby, through his book, reintroduces each of us to the power of having a “soul friend”. And what is a “soul friend”? Dr. Ashby defines a “soul friend” as someone who listens, understands, and is never judgmental. “Many of the 7.5 billion souls who occupy this space and place we know as Planet Earth begin and end each day of their lives in a total state of ‘disconnectedness’. They are emotionally, psychologically, and spiritually disengaged from their neighbors, co-workers, and even their children, spouses, and significant others. To be truly successful and live a fully empowered and happy life, one must be fully engaged – emotionally, psychologically, and spiritually. When we emerged from the womb, we emerged as ‘whole souls’ – souls who fully embraced life – souls who were fully engaged – emotionally, psychologically, and spiritually. Something happened to us during our journey from childhood to adulthood, that forced us – for own survival -- to became emotionally, psychologically, and spiritually disconnected. We drag this ‘disconnectedness’ with us everywhere – it is literally an ‘emotional, psychological, and spiritual ball and chain’ we are dragging around day after day. We drag it into work, into the lives of our co-workers, into our relationships with our spouses, neighbors, significant others, and family members, and into the lives of our children. Our lives are supposed to be magical. We are supposed to live a life that is fully empowering and purpose-driven -- a life in which we are fully engaged --- spiritually, emotionally, and psychologically. We are supposed to live our lives as ‘whole souls’. My book is a blueprint for healing and empowerment. It provides pathways to atonement, ‘connectedness’, forgiveness, rebirth, reaching our full potential, and transforming our communities and our world into an emotionally, spiritually, and psychological vibrant oasis,” Dr. Ashby explained when reached for comment. To schedule an interview, book signing, or speaking engagement with Dr. Ashby, contact his publicist, Diane A. Sears at 267-581-3963 or send an e-mail to: insearchoffatherhood@gmail.com. topic that's been discussed for decades. Great stuff, just excellent! wonderfully good and have surely enabled somebody like me to get to their pursuits. me and even further to my peers. Thanks a lot; from all of us. Many thanks for visiting our site. Glad you enjoyed reading about Dr. Glenville Ashby and his groundbreaking work. Best regards. back the prefer?.I'm attempting to find things to improve my web site!I assume its good enough to use a few of your concepts! !